Zener diode ZD is used to generate a regulated DC output. 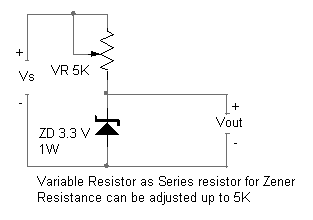 A Zener diode is designed to operate in the reverse breakdown region. 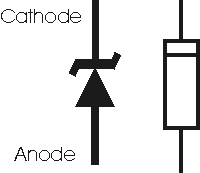 If a silicon diode is reverse biased, a point reached where its reverse current suddenly increases. The voltage at which this occurs is known as “Avalanche or Zener “value of the diode. Power rating of the Zener is also an important factor to be considered while selecting the Zener diode. According to the formula P = IV. P is the power in watts, I current in Amps and V, the voltage. So the maximum power dissipation that can be allowed in a Zener is the Zener voltage multiplied by the current flowing through it. For example, if a 12V Zener passes 12 V DC and 100 mA current, its power dissipation will be 1.2 Watts. So a Zener diode rated 1.3W should be used. As a rule of thumb, a minimum of 10% of the total current should flow the zener leaving the rest available to the load. By increasing the value of the series resistor, it is easy to reduce the current flowing through the zener but allow a minimum of 5 to 10 mA current through the zener. Then only it will reach the avalanche state to give output voltage. 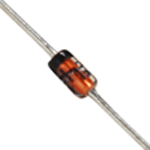 You can use a variable resistor so that accurate breakdown voltage can be obtained. But use a dummy load to fix the output voltage as desired. Adjust VR1 till the Vout is reaching the required output voltage.